A four-car collision in Garden Grove on New Year’s Eve killed 33-year old Jolene “Jojo” Castillo, and her 9-year old daughter, Payton. Seven-year-old Logan Castillo was in the back seat and survived without any injuries. The tragedy has a local connection. Christian Castillo, the oldest of Joleen and Danny Castillo’s four children, is a sophomore at Mira Costa High School. Castillo is a permit student who is a promising young baseball pitcher for the Mustangs. MCHS Principal Ben Dale said the school community is trying to let the Castillo family and particularly Christian know that they are not alone in their time of tragedy. MCHS head baseball coach Keith Ramsey said that the entire team is rallying to help Christian Castillo. Two fundraising drives are underway to help the family. One is a GoFundMe page established to raise money for Joleen and Payton’s funeral and memorial. Another is an educational fund being established to make sure the two boys have funds to continue their schooling. 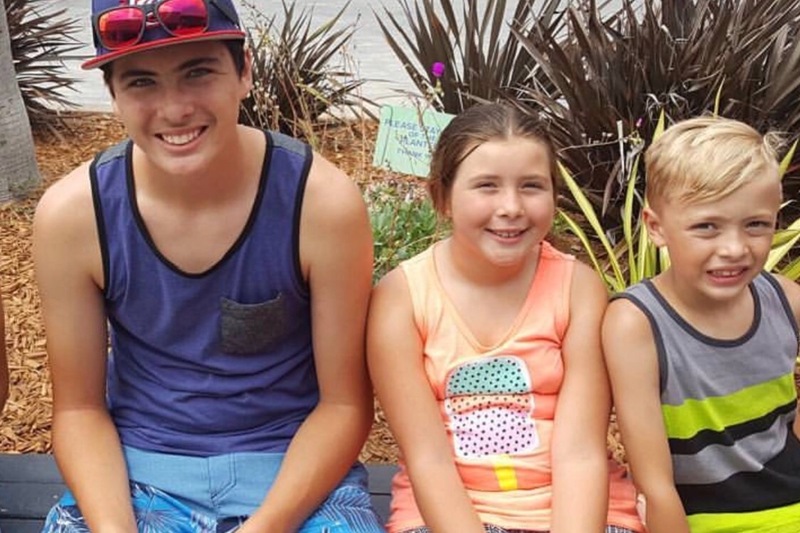 Chris Miller, a Mira Costa graduate, is a friend of the Castillos’ next door neighbors in Hawthorne and has witnessed the entire neighborhood’s devastation. Payton, she said, was known for her buoyant, playful spirit and her love of animals. The driver, Melvin Branch, 30, was originally arrested for suspected drunk driving. He has since been released. Orange County Sheriffs say there is insufficient evidence currently to proceed with a DUI charge. Miller helped the family out by taking the family’s two dogs to a no-kill shelter in San Pedro. The dogs were largely alone for nearly a week, Miller said. Joleen and Danny Castillo no longer live together. The baseball team has started a “meal train” program for the Castillo family that is booked for two months, and many boosters and parents have contributed to the fundraising efforts. Miller said the same holds true for the entire Costa family. The GoFundMe drive has raised $59,000 towards a $75,000 goal to pay for the memorial and funeral of JoJo and Payton, which took place Sunday. It can be found by searching GoFundMe.com for Jojo and Payton. The education fund was just established this week. For more information, contact Jerry Mitchell at 310-329-5150 ext. 286 or email Jerry@clgwm.com and ask about the Christian and Logan Castillo College Fund.